Over the last quarter-century, global accounting and consulting powerhouse Deloitte has built a reputation as a trailblazer in workplace diversity and inclusion. At the core has been a slate of employee-resource groups, each dedicated to a specific demographic subset of Deloitte’s workforce. The New York-based firm launched its widely recognized women’s network more than two decades ago, followed by groups dedicated to Asian-American, black, Latino, LGBT, disabled and veteran associates. By all accounts, the groups have been extremely popular with employees, as they have provided easy access to others with whom they share common ground—and common experiences. “They have been really successful in providing a safe haven for individuals to share their challenges and support each other with respect to how they can move forward and generate new opportunities,” says Terri Cooper, chief inclusion officer at Deloitte. So when Deloitte announced plans to “reimagine inclusion” in mid-2017, the broader business community was understandably concerned. Was the firm getting rid of its widely lauded ERGs? Was it ushering in a new era in which resource groups would play less of a role? Was this the end of workplace diversity and inclusion as we know it? Clearly, Deloitte’s reputation in the D&I space means any strategic changes will be scrutinized under a microscope. To date, however, its rationale and actions taken have been nowhere near as radical as initially feared. Deloitte’s decision to take a new approach to D&I stemmed from a recognition that the “multi-dimensionality” of its people was not being addressed, says Cooper. While the ERGs were clearly successful at providing a vehicle through which specific demographic groups could communicate, collaborate and empower each another, there were many employees who didn’t fit into any of the existing groups. Recognizing those employees still had a desire to play a role in the organization’s D&I initiatives, Deloitte decided to launch a number of broad inclusion councils across the organization. According to Cooper, these all-encompassing groups are designed to bring employees from all ethnicities, genders, backgrounds and experiences together to celebrate their differences, engage in “courageous conversations,” and serve as allies and advocates for one another. They are open to “everybody and anybody.” Together, they host discussions and events and generally serve to help employees foster a greater understanding and deeper appreciation for one other. With approximately 90 percent of all Fortune 500 companies having ERGs (also known as business-resource or affinity groups), according to DiversityInc., Deloitte is far from the only organization looking to improve its D&I initiatives. 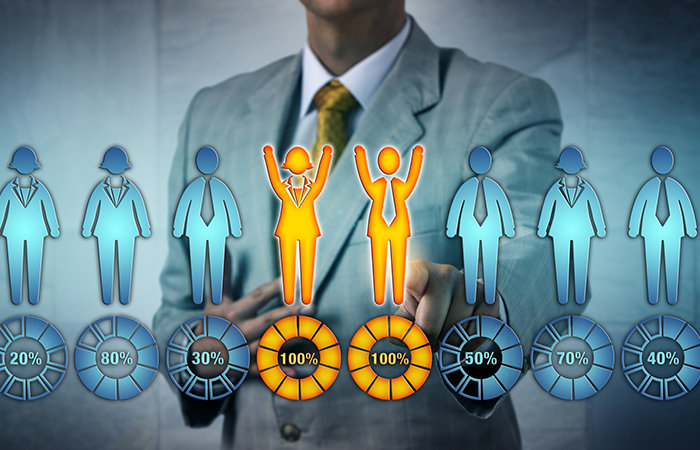 In fact, the process of rethinking ERGs is already “well under way,” according to Chris Dornfeld, vice president and general manager of employee-engagement solutions at Maritz Motivation Solutions in Fenton, Mo. One of the questions that has arisen is whether ERGs have outlived their usefulness. In part, he says, that’s because younger employees have grown up in a far more diverse society, and thus, fail to see the value in such groups. That may be true, but such statements concern Pam Jeffords, a partner in the Denver office of Mercer and a global expert on workplace diversity and inclusion. Cooper downplays the role that millennials played in convincing Deloitte to take a broader inclusion-focused approach, yet the firm’s own 2017 Inclusion Pulse survey revealed that younger generations place a higher premium on an inclusive culture, with 53 percent of millennial respondents saying they would leave an employer for one that offered more “workplace-inclusion features.” Already, 30 percent of millennials said they had left a job for a more inclusive culture at another organization. With millennials making up an increasing percentage of the workforce, Erin Thomas, a partner in the Chicago office of Paradigm, a diversity and inclusion strategy firm, cautions organizations to be wary of what she calls “over-catering to young professionals.” They may not realize it now, she says, but research shows that younger workers begin to recognize the value of traditional approaches, like ERGs, “when they start to hit some of these major inflection points, like having children or hitting glass ceilings as they advance.” That’s why it’s incumbent upon employers to balance the need to take millennials’ input into consideration with the recognition that age and experience often bring wisdom. Currently, Deloitte’s ERGs are actively partnering with the new inclusion councils to further the firm’s goal of “embedding inclusion into the fabric of the organization.” Last year, its Chicago Inclusion Council coordinated with the LGBT ERG on an event to encourage employees to participate in the city’s annual Pride festivities. “That’s just one example where we’ve taken something we’ve leveraged for many years and, by broadening the experience, we created a whole series of new allies that were really keen to go and support their colleagues and support the LGBT community,” says Cooper. Cultivating allies is also a critical component of D&I at Mountain View, Calif.-based Symantec Corp., where employee-resource groups remain firmly entrenched, yet are open to anyone, regardless of whether they fit into the specific demographic group an ERG was created to serve. Across the globe, the cybersecurity giant offers five active ERGs, each led by a global sponsor from Symantec’s executive-leadership team. They include Symantec Women’s Action Network; Symantec’s Black Employee Resource Group; Symantec’s Lesbian, Gay, Bisexual, Transgender and Allies Group; Symantec’s Veteran Employees and Troop Support; and Symantec’s New and Aspiring Professionals. According to Chief Human Resources Officer Amy Cappellanti-Wolf, opening the door to everyone not only creates advocates and allies within the workforce, it also helps employees gain a deeper understanding and appreciation that will enable them to better serve a diverse customer base. She believes a more inclusive approach to ERGs will help marginalized groups to overcome the barriers that have held them back. To further that linking of arms, Symantec’s LGBT and Allies Group, known as SymPride, recently began hosting ally workshops designed to “engage, educate and inspire supporters of LGBT equality across the company.” The workshops developed “organically,” out of a desire to not only advocate for each other, but also to build awareness with their peers, says Cappellanti-Wolf. “They raised their hands and said, ‘We want to take this on because it is so critical for us to be successful in our development to help those who aren’t in our ERG know how to interact with us and be a part of us,’ ” she says. That kind of “self-organizing” is critical to the success of an endeavor, says Maritz’s Dornfeld, because it gives the members a “sense of ownership of the group and its purpose,” culminating in a greater commitment and impact. In addition to helping employees understand their own biases, the SymPride workshops “give them the language” to engage with and help educate other potential allies, says Cappellanti-Wolf. The workshops are held throughout the world, even in locations such as India, where Symantec was one of the first companies to successfully launch Pride ERGs. There, the workshops began with awareness building through examining the role of LGBT diversity in India’s history and culture and then moved into the business case for LGBT inclusion, do’s and don’ts when creating an inclusive workplace, and role-playing exercises designed to help employees stand out and speak out for LGBT diversity. Though she’s in favor of hybrid approaches that maintain ERGs while opening the door to more inclusive conversations, Paradigm’s Thomas is concerned that some organizations are adopting a “colorblind” approach. Such strategies, she says, essentially water down the diversity and inclusion initiative by eliminating traditional resource groups and replacing them with inclusion councils that are dominated by segments of the population (such as straight white men) who had previously held back marginalized populations, such as women, African-American or LGBT employees. While neither Symantec nor Deloitte are looking to chuck their ERGs anytime soon, their shift toward a more inclusive approach represents a recognition that the 21st-century workplace should focus less on segmenting people based on their differences and more on bringing them together to celebrate that which makes them unique.